If a club wants to access their annual budget they will need to apply for it through the grant system. Grants of $400 or less will be approved week to week, but grants of $401 or more will need to be approved by Clubs & Societies Council, which meets about once a month during Semester. Approved grants are processed from 12pm every Wednesday, any grant received after this will be processed the following week. Once grants have been processed the LTSU’s Finance Team will pay the funds into the club’s bank account every Thursday. Due to possible bank transfer delays, the funds will be available by the following Monday at the latest. See also: Affiliation, Resources, FAQs, Start a New Club. What: The most common grant. All expenses relating to activities, functions or events on or off campus. Examples: end of exams dinner in the city, snacks for a club meeting, hosting a lunch on campus, prizes for a raffle. Committee meeting minutes authorising expenditure, only if your request is for more than $400. Template here. What: For the purchase of any item that publicises your club. Examples: Club banner or sign, uniforms, hoodies, pamphlets to hand out. Examples: Musical instrument purchase, camera hire, popcorn making machine. Examples: Attending a religious conference in Sydney, or for your group to be tutored in a subject/trained. Official documentation showing proof of conference or training, e.g. a conference program or website, a letter from a coach or tutor, etc. What: A printing/photocopying card for the club to use. Email the Clubs Officer to arrange your club's printing card. It will come pre-loaded with $25 worth of credit which can be topped up if needed. For any other grant not listed above, or for financial difficulties, overdue money. Get in contact with the Clubs Officer. To access this grant simply RSVP and attend semester 1 or 2 Orientation Festival. Grant money will be deposited into your bank account the week after Orientation, or once your club has re-affiliated. You cannot fill out a form to apply for this grant. Who can apply for club grants? New clubs can apply for grants from the date they are officially affiliated with LTSU. Clubs continuing from one year to the next can apply for grants from January the 1st. However grants will only be processed once the club has re-affiliated, so there may be some delay. As for who within a club can apply for grants, any of the club's executives can apply for grants. Each club receives the same amount of funding, but that level of funding changes from year to year. The Clubs Officer will let your club know how much funding they will receive before you have affiliated. If a club affiliates in semester one they will receive the full amount of funding for that year. If they affiliate in semester two they will receive around half that amount. For example in 2018 a club which affiliated in semester one received $1,400 for the year whilst a club which affiliated in semester two received $700. The definitive amount of how much funding each club receives is decided early each year. As a general rule the amount should remain the same as the year previous, or increase. Grants of $400 or less are processed every Wednesday from 12pm. If the grant is received after this time it will be processed the following week. Grants over $400 are processed at the next Clubs & Societies Council, which meets at least four times each semester. So, depending on how soon the next C&S Council is your grant of over $400 could take between one week, one month or (if you’ve really timed it badly) longer to process. Any grant over $400 must be accompanied by executive committee meeting minutes authorising the expenditure. This is so the LTSU can be sure that spending a large amount of money is something that the whole club’s executive has been consulted on. Any grant over $400 that is not successfully approved by the final C&S Council of the year will only be able to receive $400 of the total amount applied for. As a general rule, unless your event or activity is taking place in the Agora, you will need to take an attendance list of those who came. You will need to have one for every grant application apart from publicity and equipment hire/purchase grants. A blank attendance list can be found here but you can also make your own. If you do make your own make sure it includes each student’s student number. Advertising on your club's LTSU page. Events and all other activities must be advertised on your club’s LTSU website if you are intending to apply for a grant. Advertising on your LTSU page also ensures that as many people as possible know that your event is happening. The LTSU strongly encourages all clubs to advertise every activity they put on throughout the year in this way, as funding can and likely will be withheld from clubs if there is no advertisement. If you are unsure how to advertise your event email the Clubs Officer and they will assist you. Make sure the receipts you are supplying with grant applications are itemised receipts. 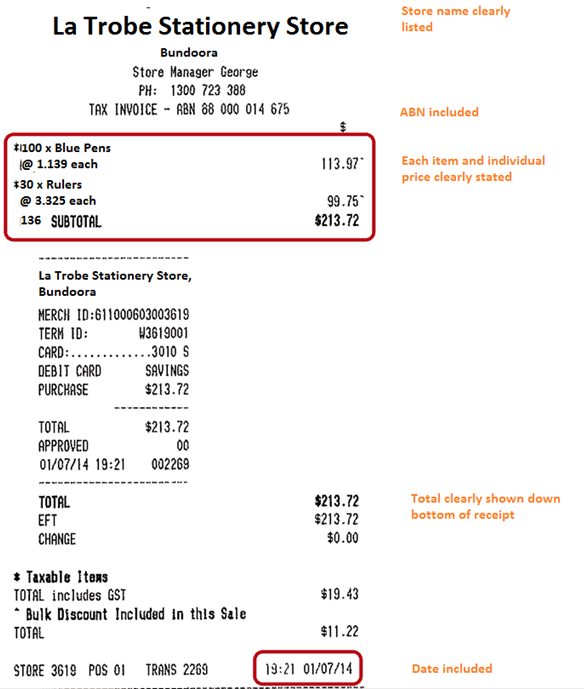 An example of what an itemised receipt looks like can be seen here. Receipts from overseas must be in English and be from a registered business in the appropriate country. The overwhelming number of grant applications received by the LTSU come with a receipt and the club looking to be reimbursed money they have already spent, either out of the club’s bank account or from a purchase made by a club executive. Once the amount has been paid out based on the quote the LTSU cannot pay you any more money until you have provided the Clubs & Societies Officer a receipt showing exactly how you used the money. Clubs cannot spend more than 80% of their annual budget on one grant application. This means that in 2018 (for example) a club could apply for up to $1,100 of their $1,400 total budget, provided that they applied for it through Clubs Council. Further to this, a club cannot apply for multiple grants for the same thing. For example, a club cannot claim three $300 grants to get to $900 for one event. The club must apply for one grant of $900 through a Clubs & Societies Council. The cut-off date for any grants over $400 is always the final C&S Council of each year. Generally the final Council will be held in week twelve of semester two to give clubs as much chance as possible to apply. The cut-off date for grants of $400 or less varies from year to year, but is usually around the end of November. This means any club events that happen between the cut off and the end of the year need to be applied for before the cut off, as the club will be unable to claim grants for events that happened in the previous year when they re-affiliate in the New Year. Any expenses the club accumulates from January 1st will only be claimable once the club has re-affiliated to the LTSU. No club can receive funding unless it is fully affiliated. 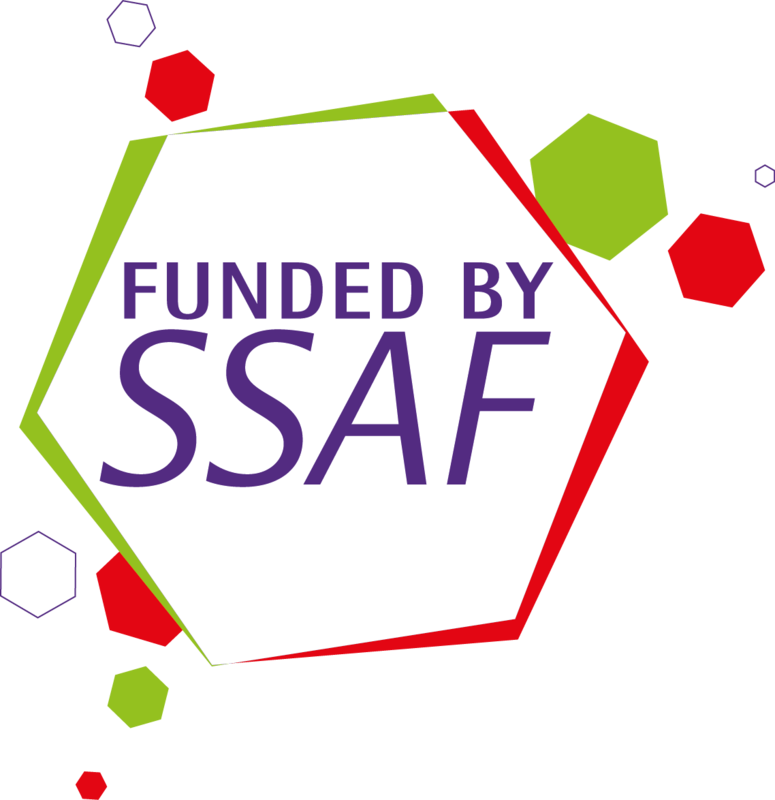 Please apply for all grants as soon as possible, ideally within 6 weeks of the activity. Please still continue to apply for grants if you have missed this time frame however. You can only apply for funding for events in the same year that the event happened. For any queries contact the Clubs and Societies Officer on 9479 3752 or email them here.